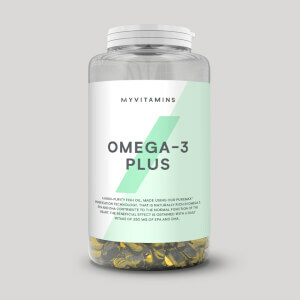 Our ultra formula of essential vitamins and minerals including calcium, vitamin D, selenium, vitamin B5, biotin, as well as energising natural extracts — boosting your everyday wellbeing while training hard, and dealing with the stresses and strains of a busy lifestyle. 1. Vitamin B5 contributes to the reduction of tiredness and fatigue. 2. Selenium contributes to the normal function of both the immune system and thyroid function, alongside protecting the body’s cells from oxidative stress. 3. Calcium contributes to normal energy yielding metabolism, normal muscle function, neurotransmission, and needed for the maintenance of normal bones. 4. Biotin contributes to normal psychological function. 5. Sea algae helps improve physiological balance and moisturisation of the skin, regeneration of cells, nurtures hair and improves their structure, and strengthens nails. 6. Ginseng contributes to the natural defences and proper functioning of the immune system. When to take Alpha Men Multivitamin? 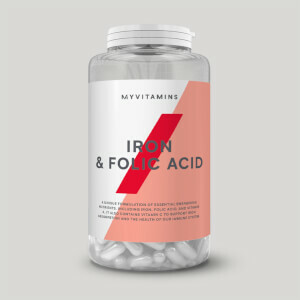 We recommend 1 tablet in the morning and 1 tablet in the evening, preferably with meals, to get the most out of this vitamin and mineral boost. What does Alpha Men Multivitamin work well with? While keeping your body strong and active, it’s key that you’re getting the protein you need to achieve your fitness goals. Impact Whey Protein helps to grow and maintain muscle,7 making it the ideal supplement whether looking to build size or stay lean and toned. 7. Protein contributes to the growth and maintenance of muscle mass. Dicalcium Phosphate, Bulking Agent (Microcrystalline Cellulose), Calcium Carbonate (Carrier: Maltodextrin), Vitamin E (DL Alpha-Tocopheryl Acetate), Calcium (Calcium Ascorbate, Stabiliser (Hydroxypropyl Methyl Cellulose)), Magnesuim, Choline Bitartrate, Calcium Pantothenate, Anti-Caking Agents (Stearic Acid, Magnesium Stearate), Korean Ginseng Extract 10:1, Potassium Chloride, Glazing Agent (Hydroxypropyl Methyl Cellulose), Nicotinamide*, Alpha Lipoic Acid, Royal Jelly Extract 3:1, Citrus Biflavonoids, Kelp Powder, Gink Biloba Extract 50:1, Zinc, Thiamine, Selenomethionine ( Anti-caking agent: Dicalcium Phosphate, L-Selenomethionine), Vitamin B6**, Vitamin A Preparation (Modified Food Starch, Corn Starch, Beta-Carotene, Antioxidant (DL-Alpha-Tocopherol)), Riboflavin, Nettle Leaf Extract 4:1 (Uritca Dioica L, Uritca Urens L), Grape Seed Extract 50:1, Inositol, Bromelain, Lipase, Papain, Manganese, Borax, Amylase (Contains Wheat Flour), Co Enzyme Q10, Vitamin D3 Preparation (Gum Arabic, Medium Chain Triglycerides, Anti-Caking Agent (Tri-calcium Phosphate), Cholecalciferol, Antioxidant (DL-alpha-Tocopherol)), Lutein, Copper Sulphate, Chromium Chloride, Vitamin K Preparation (Carrier: Maltodextrin, Phylloquinone), Folic Acid, Biotin, Vitamin B12, Molybdenum. *This amount of Nicotinic acid may cause skin flushes in sensitive individuals. **Long term intakes of this amount of vitamin B6 may lead to mild tingling and numbness. I have seen benefits with my energy levels since taking them and gym sessions have improved. Good for getting all the nutrients you don't/can't get with a normal healthy diet. Makes your pee bright yellow but it's harmless. They don't smell great either but it's a surprisingly quick thing to get over. 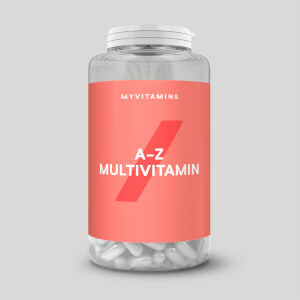 Good morning multivitamin, especially if you’re looking for something with a little extra then the standard A-Z types. This is one of the best multivitamins I’ve ever had, gives loads of energy only down side for me is that mental clarity is not there, loads of physical energy but not a lot of mental focus. Still good need to find a balance between this and immune plus one they used to do. I feel like Superman when I'm on these. Although I wish it contained magnesium, iodine and more copper but maybe I'm being to critical. If you're Wheat intolerant, do not take. I've been taking these for a few days now as I figured I'd introduce a multi-vitamin to my diet. I'm not expecting to suddenly feel miles different though hopefully there is some improvement. As far as the taste and smell, yes it does smell and taste odd but once it's swallowed it's gone and you don't have to worry about it. Lastly, as a Coeliac (though as I've gotten older I've become less and less symptomatic) I bought this thinking there's no chance it could contain anything I was allergic to. And although it mentions 'contains Wheat' next to 'Amylase' and not Gluten I have continued taking it as I don't experience symptoms like I used to when I was younger. Just a heads up for those intolerant to wheat. 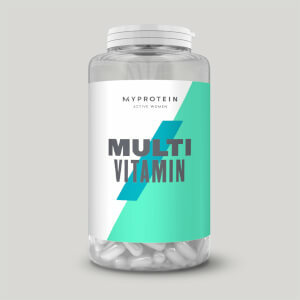 Best multivitamin for the money! If you want the best, get this!! I cannot comment on the nutritional benefits themselves but the taste of this multivitamin is pretty disgusting and can linger in your mouth for a couple hours after consumption. Alright tablets ignore everyone complaining about smell and taste, that is no problem at all y'all just over reacting. I personally found them hard to swallow and sometimes sharp, which sucked. but i just broke them up and they was no problem at all. I actually tried dissolve 1 in water (just as a test) which took absolutely ages and would not recommend. water ended up with bits in it and stuff was not worth. But fun to find that out. Price is fine and gives you what you need. Can take 1 a day if you want even though recommended is 2. Don't expect any magic it's just a multivitamin, but yeah seems alright and worth the money so good stuff. Take em with food and you'll be fine. Be aware your pee will be green due to some of the stuff in the pill however this is normal and is no issue.